We are really excited to share that we have this Bulk Purchase Promotion for residents of The Palette located at Pasir Ris Grove. Lots of residents there have come to us, asking us to help level up their planter box located in the balcony. 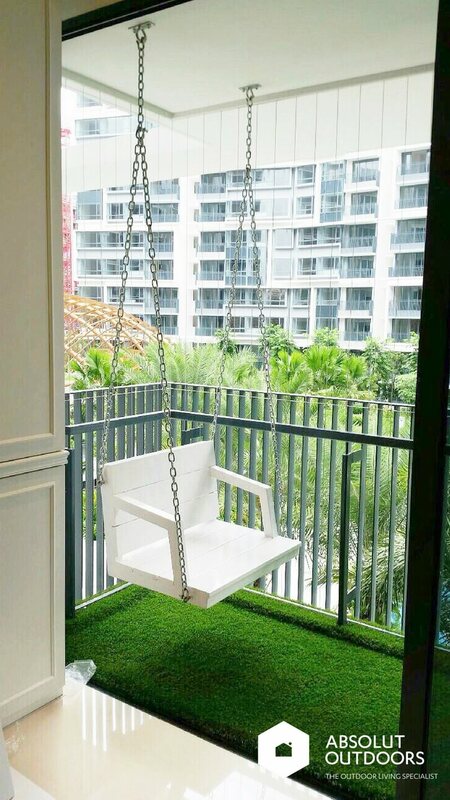 As you may know, we’re specialists in installing artificial grass and wooden decking for balconies, roof tops, PES and gardens. After evaluating the physical layouts and surveying the actual units at The Palette (thank you to those customers who allowed us early access to their homes! ), we’ve come up with what we think is the safest, most durable and value-for-money way of raising the planter box in the balcony to the same height as the rest of the balcony. What does levelling the planter box mean? 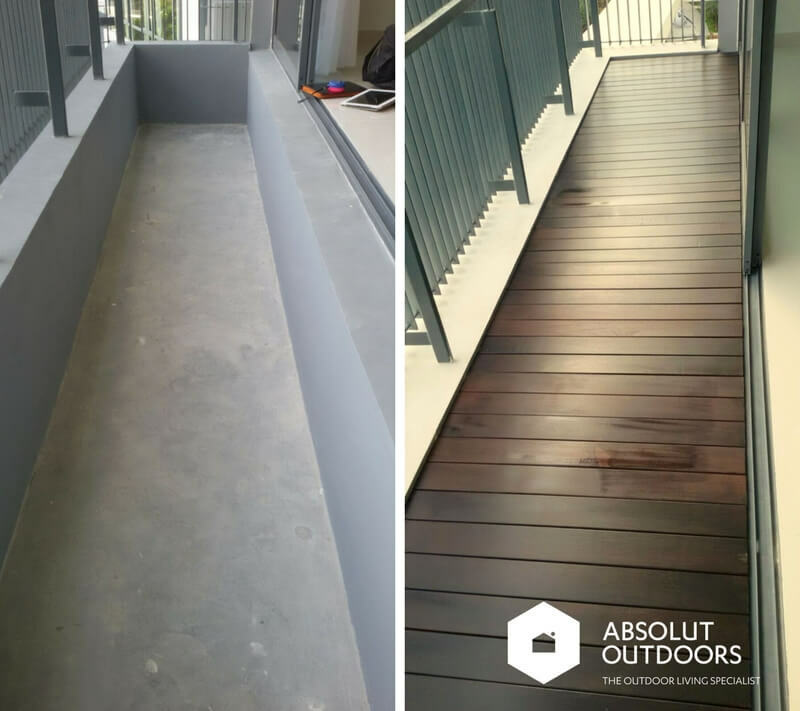 We build some legs with a strong structure (without having to drill into the side walls) and finish up with the outdoor flooring of your choice like artificial grass or outdoor decking. Here’s why you should use Absolut Outdoors to help you level up your Planter Box. You can choose the option of drilling (lower cost), or without drilling. Both these solution are safe and strong. You never know who’s going to be standing at your newly levelled balcony planter. It may be your whole family at the same time, so we make sure that it’s strong. Our planter box solutions can take a load of up to 500kg! Now that is some serious load we talking about. We provide artificial grass (or some call it synthetic turf), iron wood decking or composite wood decking for your choice. All prices are the same for these three finishes. What else is the same? They’re all of great quality, and easy to wash, vacuum and maintain. Our artificial turf is from GreenTurf, and they are literally sports-grade turf used in heavy-duty sports. So you can be assured of the durability. Safety is also something we don’t take for granted. We ensure that the turf is sent for testing to make sure that they are safe for pets and children. Of course, last but not least, these flooring finishes are beautiful and will add so much value to your home. If you’re renting it out, you can be sure that a nicely done up balcony will help your unit get rented faster, and at a higher price. 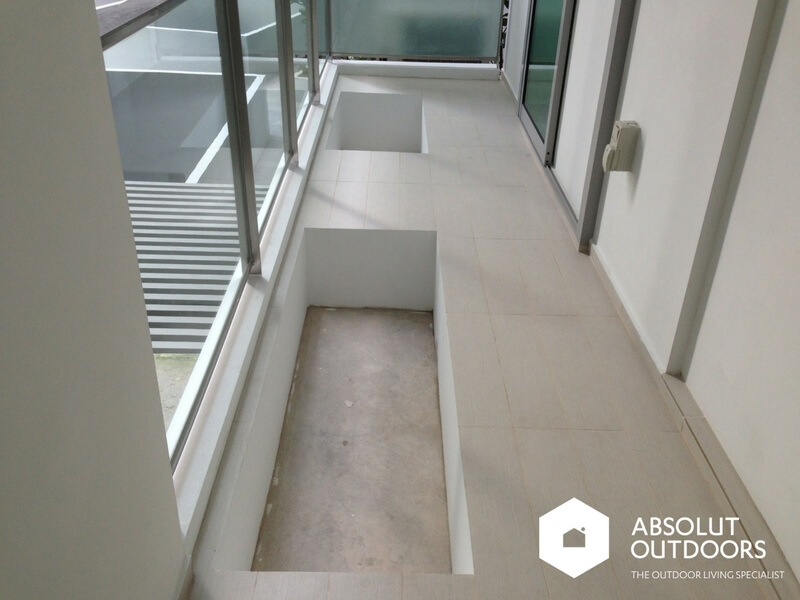 After covering your balcony planter with beautiful decking or artificial grass, the last thing you want is for the structure below it to rot. We understand those concerns. 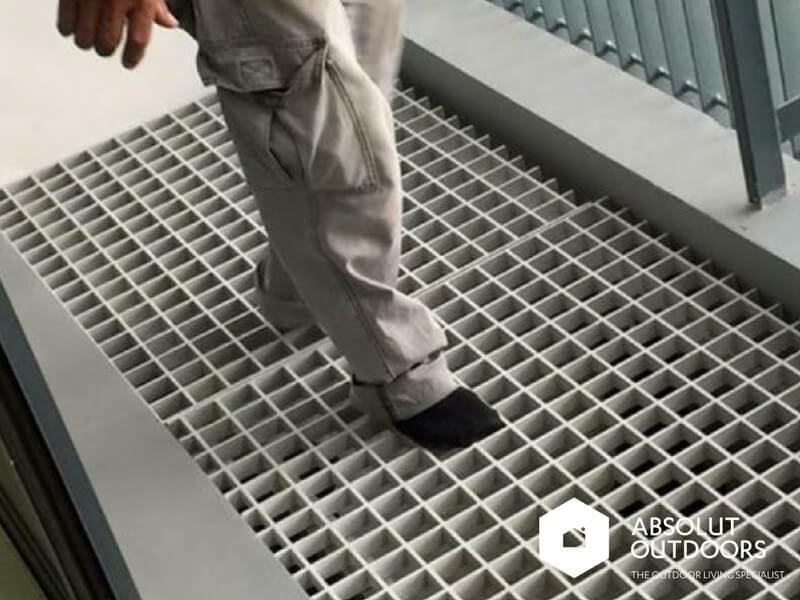 Therefore, from the drain cells to the industrial-grade grating to the aluminium battens, we ensure that nothing is going to rot. We back our products and installations with the relevant guarantees for your peace of mind. Please feel free to Contact Us, Email us at enquiry@absolutoutdoors.com or call Emily at 8717 1581 for a no-obligations discussion. Hurry, these bulk buy deals for The Palette Balcony Planter Boxes are too good to miss! P.S. 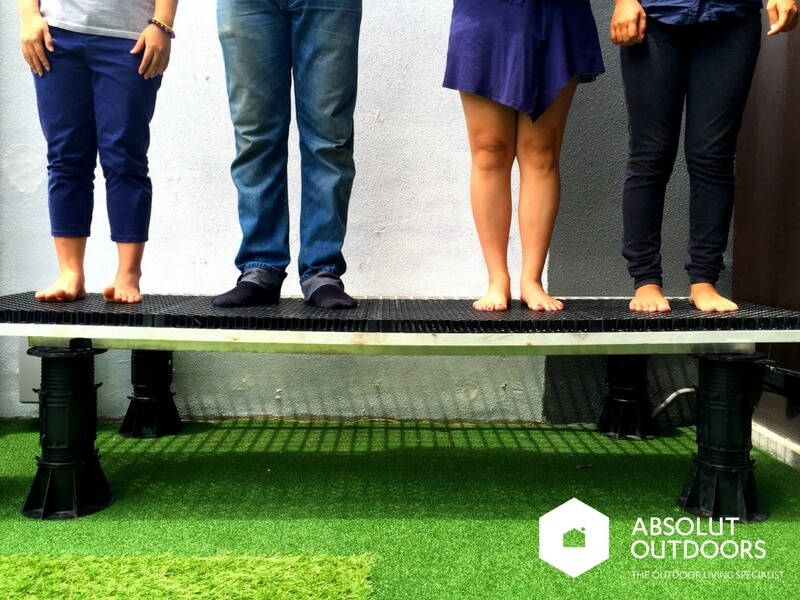 Absolut Outdoors is running a festive promotion where you can stand to win one of 10 sets of Bose SoundLink Mini. Details are here. Good luck to you! 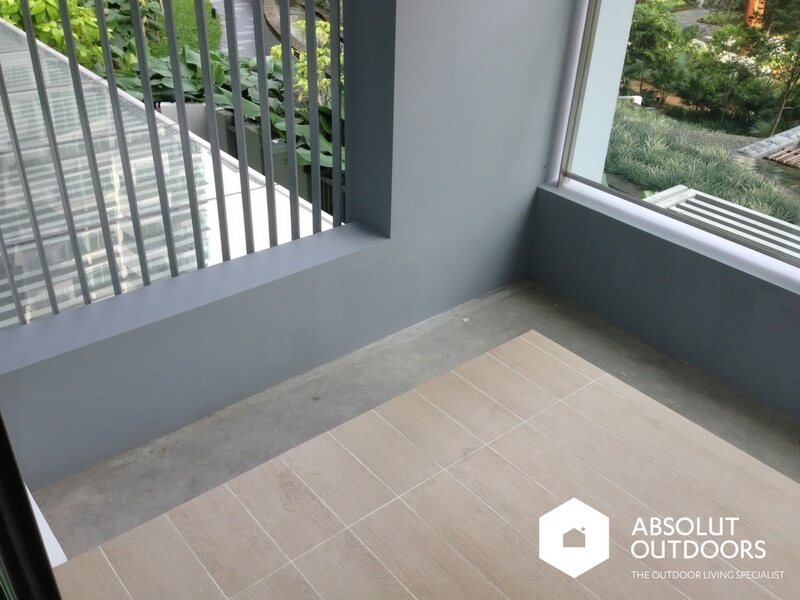 Update on 5 May 2016: The Bulk Buy Promotion for The Palette has ended officially on 29 Apr 2016. we thank all residents of The Palette who entrusted their balconies to us and hope that you enjoy the outdoor flooring that we did for you for many years to come. 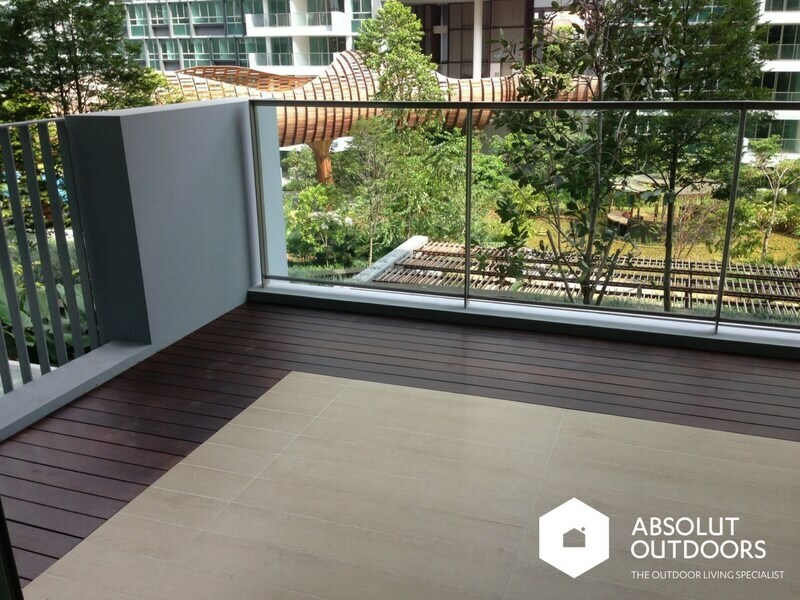 For those of you who are still keen to find out more about our rates, please feel free to call us at 87171581 or email us at enquiry@absolutoutdoors.com. Thank you!